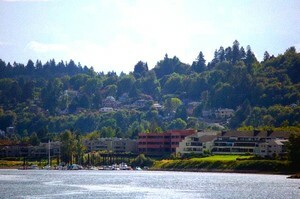 John’s Landing is located in Southwest Portland on the Willamette River just minutes south of Downtown. This historical area was one of the first areas to be established in Portland. The residents in John’s Landing are very proud to live there and it shows in the areas meticulous upkeep and the residents commitment to community projects. The convenient access to downtown, great schools, the beautiful views of the Willamette River and the great homes in this area makes John’s Landing a fantastic place to live.